The Gravity Flow Incoming Webhook Extension version 1.1 is now available via auto-update and for download from the account page. 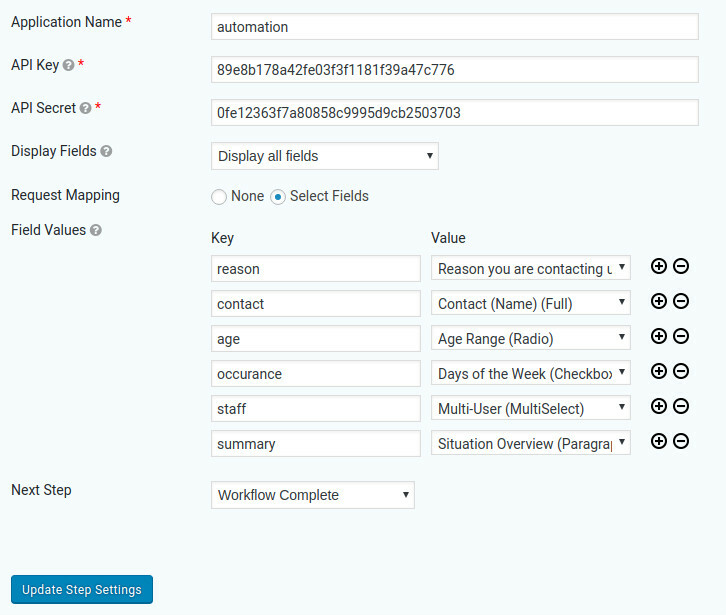 This is a feature release which adds support for setting field values sent in the incoming webhook request. The Incoming Webhook Step waits for a request from an external application (for example, a Zapier request or an Outgoing Webhook Step) before allowing the entry to continue on the workflow. Version 1.1 now allows Gravity Flow administrators to map values sent in the request to fields so external applications can modify entry values. See the documentation for a full details and an example application. Added support for setting field values sent in the incoming webhook request.